The day has finally arrived for Queen Fans and nostalgia buffs alike. “Bohemian Rhapsody”, the long awaited, Freddie Mercury biopic hits the big screens today. Rami Malek, of Mr. Bobot fame brings the iconic Freddie Mercury to life in a magnetic performance that makes the film a must see. Queen’s sound combined showy glamorous rock, heavy metal and intricate vocal harmonies highlight Freddie Mercury’s unique gift. A Night At The Opera, Queen’s 3rd studio album, released in 1975 contained the mammoth 6 minute long gold hit “Bohemian Rhapsody.” The song hit #2 on the US charts in 1976, but it stayed at #1 on the British charts for 9 weeks, breaking a record held by Paul Anka in 1957. If you are a Queen fan – you will not want to miss this. It brings to mind the impact that Freddie Mercury & Queen have had on music and life. Check out this epic capture of the entire crowd singing Bohemian Rhapsody at a Green Day Concert. 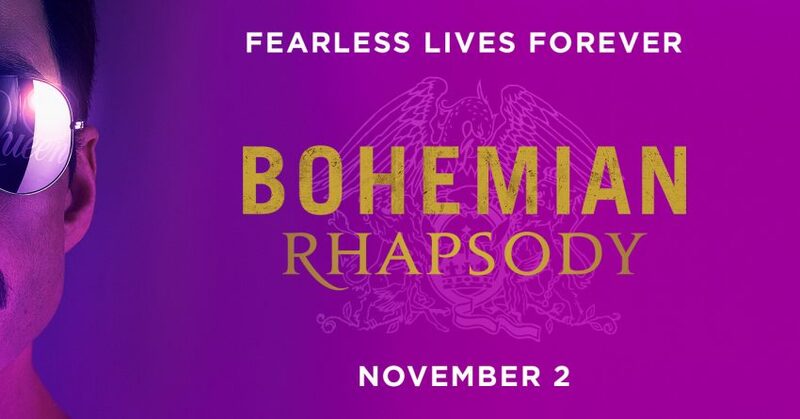 If you have time – make sure you take the opportunity to check Bohemian Rhapsody out. Fearless Lives Forever!